From left, Kimberly Price, Executive Assistant for the Alfred I. duPont Testamentary Trust; David Gonino, Chief Investment Officer for the Trust; Dr. Christine Sapienza, Dean of the Brooks Rehabilitation College of Healthcare Sciences; and JU President Tim Cost at the dedication of the Alfred I. duPont Plaza. 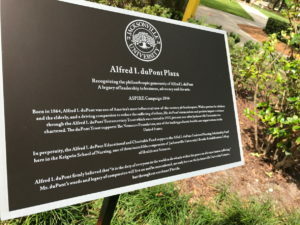 The Alfred I. duPont Plaza sits in the heart of the oak-canopied campus, its cushioned seating areas, landscaping, stone pavers and smartphone charging stations nestled just outside the Founders and Council buildings, two of JU’s first, built on land cleared by students in the 1950s. 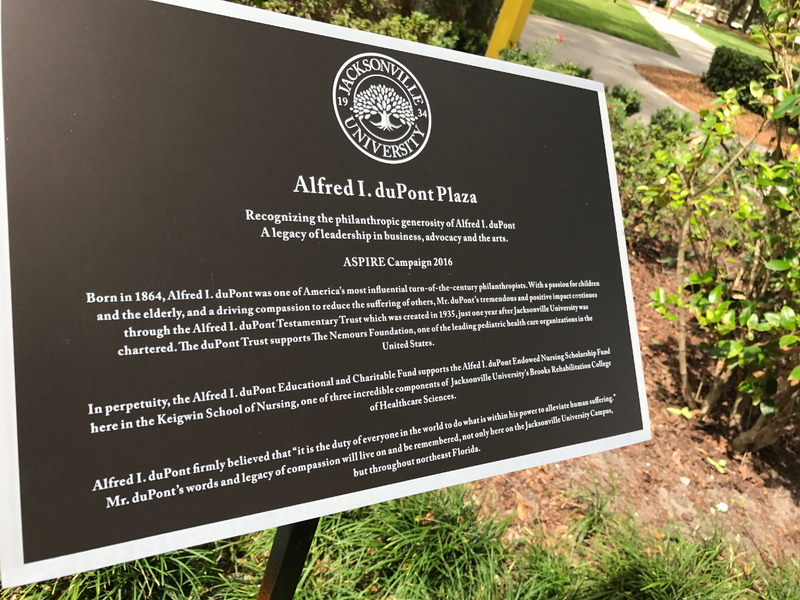 David Gonino of the Alfred I. duPont Testamentary Trust reads over the new plaque at the Alfred I. duPont Plaza. The $100,000 gift from the Trust’s Alfred I. duPont Educational and Charitable Fund will help finance in perpetuity the education of Nursing students at the bachelor’s, master’s and doctorate levels. JU’s Keigwin School of Nursing will select recipients who are Nursing students, who will be known as Alfred I. duPont Nursing Scholars. The Alfred I. duPont Plaza study space. Dr. Christina Sapienza, Dean of the Brooks Rehabilitation College of Healthcare Sciences, noted that from humble beginnings in 1984 with seven graduates, today’s Keigwin School of Nursing boasts nearly 6,000 alumni who work locally, nationally and around the world. What’s termed “The JU Nurse,” Dr. Sapienza said, is much in demand and set apart from other job candidates because the Keigwin School of Nursing accepts only the highest-caliber, most passionate candidates; offers a rigorous curriculum that includes realistic, patient-centered training in its Simulation Training and Applied Research (STAR) Center; and, perhaps above all, features caring, renowned faculty who teach contemporary toolsets so students become highly effective practitioners. 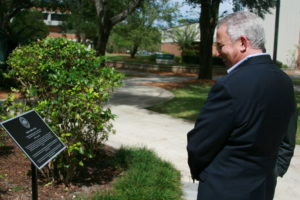 “When a recruiter from a hospital tells us our students are different, they are different because of the humanistic care they portray when treating patients, and while that can be taught, it also is modeled by the faculty in our college,” Dr. Sapienza said. 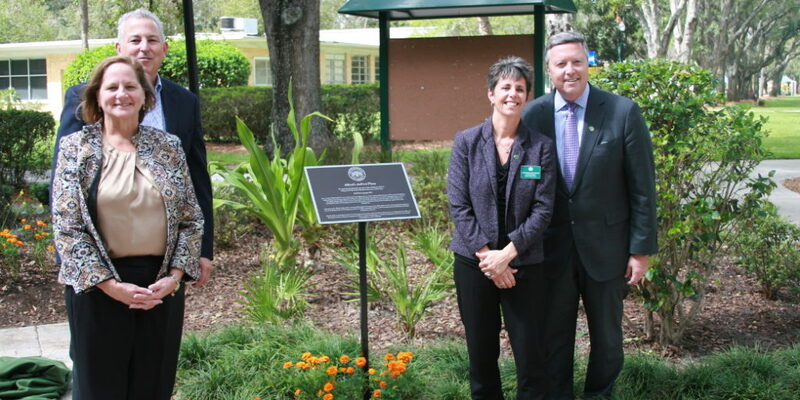 The Alfred I. duPont Testamentary Trust is one of America’s most generous supporters of pediatric healthcare. Since 1935, the Trust has distributed more than $2.7 billion to its primary beneficiary, The Nemours Foundation, for the care and treatment of children primarily in Delaware and Florida, and it has helped hundreds of thousands of sick children find health and new hope for the future, regardless of ability to pay. For more information, visit http://www.alfrediduponttrust.org/. Jacksonville University’s Brooks Rehabilitation College of Healthcare Sciences aspires to be the region’s premier provider of healthcare science education. The college is committed to preparing healthcare professionals for careers defined by excellence in practice, community service and lifelong professional development. Our core values include teaching, research and community engagement. We are well-positioned to provide students with the essential skills and hands-on training they need to be competitive and thrive in high-demand jobs in the healthcare industry. Our faculty and staff are innovative, creative and engaged in advancing the knowledge and skills to improve the delivery of health and human services. Our College includes the Keigwin School of Nursing, School of Applied Health Sciences and School of Orthodontics. 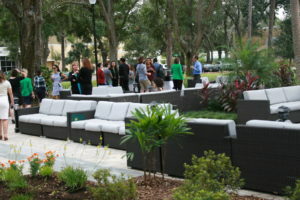 For more information, visit www.ju.edu/chs.